A decade later, Shelley’s following is still spinning strong. So strong, she felt it was finally safe to hand over her riding reins. 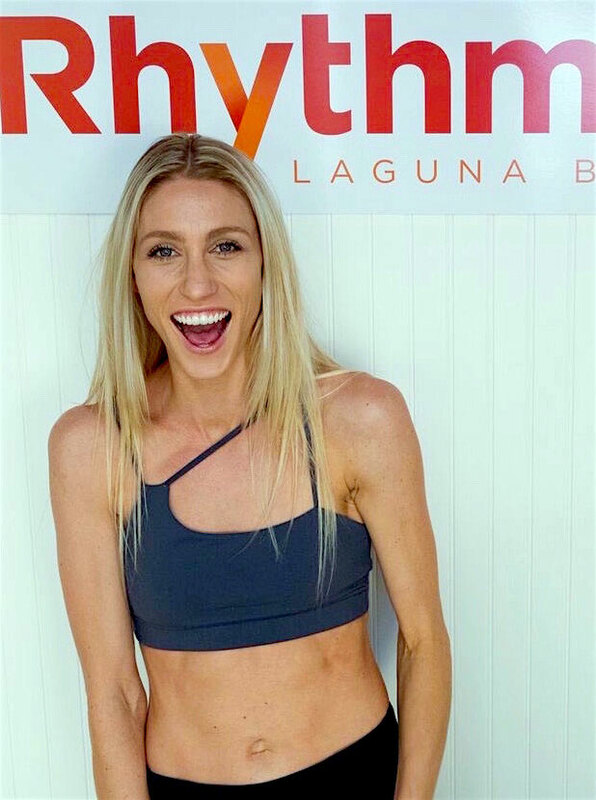 Now under the new ownership of Laguna native Stephanie Chapel, Rhythm Ride celebrates its 10-year anniversary this month. Equal parts inspiration and motivation, Stephanie exudes enthusiasm, energy and encouragement. You cannot help but be happy in her presence. Consistent with Stephanie’s service-oriented attitude, she decided to celebrate Rhythm Ride’s anniversary with a giveback party of her own this past Oscar Sunday. Partnering with Laguna Food Pantry, Rhythm Ride is encouraging all clients to donate ten food items throughout the month of March. Donation bins are stationed at the studio and available for drop-offs during business hours. The Laguna Food Pantry specifically seeks seven items: canned tuna, macaroni and cheese, pasta, sauce, rice, beans, and cereal. For clients attending last Sunday’s celebration, golden Mylar balloons and stunning floral bouquets surrounded several local businesses, all geared towards promoting health, wellness, beauty and nutrition. Project Juice, Sevenly Foods, and o-Roy-o Salsa all shared their ultra-healthy and exceedingly tasty treats. And JadeTiger Tea handed out chai samples from her eclectic supply of online teas. SeaCycle offered a hygienic slip-on sleeve for spin seats. 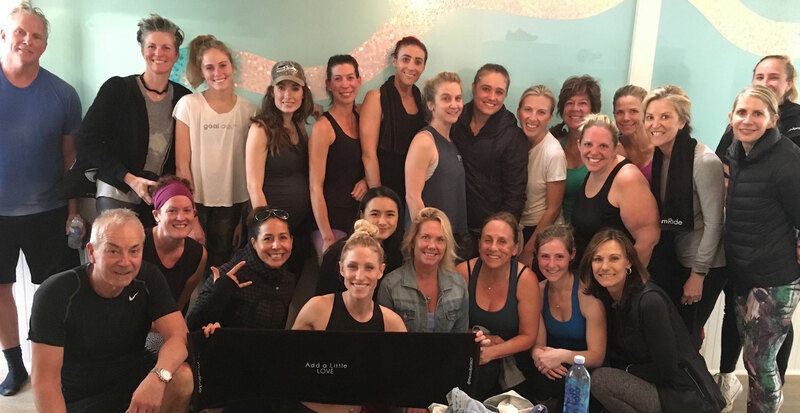 And, for a little fun and fashion, Soul Project, Treva’s Beachwear and Beach Brellas were all on hand to help clients show off all the efforts of their hard work in spin class. By combining upbeat music with simple dance moves on a bike, Shelley created a 60-minute full-body, heart-pounding, sweat-drenched workout that felt ridiculously fun. The music keeps you moving, the instructors keep you motivated, and the collective energy pushes you further than you think you can go. The results are addictive. The best part, at least for me, is that it accommodates every skill set, no matter your age, condition or coordination. Classes can be tailored to every individual’s ability. Little surprise Shelley created a huge following. There are few people better equipped to assume this legacy than Stephanie. After years of spinning, I still can’t keep a beat. But it doesn’t matter. The workout is high intensity, insanely sweaty, and just as fun. Why? Because the instructors make you feel successful, no matter what. The hardest part of any workout is walking in. Folks have been walking into Rhythm Ride for ten years, and for good reason. Here’s to a new chapter, and another decade of good health and great, sweat-filled fun.